Car accidents can be quite traumatizing and the injuries may take a long time to heal. Car accident victims often have to spend a lot of money on medical treatments. However, they can make a bodily injury claim and recover the expenses from the insurance company. A bodily injury claim can be filed after consulting the doctor following an accident. The claim must be filed with the insurance company of the driver responsible for the accident. It can be filed by the injured party whether he or she was driving an automobile, riding a bike, or walking along the street. During the claim process, an insurance adjuster works with the victim; however, it is extremely important to be cautious during the process, because even a slightest mistake can jeopardize the compensation. So, all documents associated with the accident, together with the medical treatment details, should be maintained properly during the claim process. It is essential to update the insurance company about the progress of the treatment until the appropriate settlement is paid. Medical reports, expenses incurred, and radiology reports have to be prepared to corroborate the claim with the insurance company. This makes it necessary to document all medical reports and expenses incurred during the recovery period. It should include expenses for medications, transportation expenses to and from the clinic, and support received while dealing with the injury. Details of psychological issues should also be recorded by the doctor treating the patient. Psychological issues should not be taken lightly, since it can have a damaging effect on any person involved in an automobile accident. Although an injured person can discuss the settlement with the insurance company directly, he or she should be ready to provide evidence on the events leading to the injury, including the degree of pain experienced and treatment received. However, an experienced St. Louis car accident attorney can facilitate the collection of these records. Aside from collecting the necessary records, the lawyer can also discuss the bodily injury claim with the insurance company on your behalf. Contact The Hoffmann Law Firm, L.L.C. at (314) 361-4242. A car accident is a traumatic event that may result in physical and mental pain and suffering; sometimes lasting a lifetime for many people. Compensation received for the injury and damages helps the victim with the treatment and payment of medical and other expenses. However, the situation becomes complicated when the car accident involves a commercial vehicle. The companies behind commercial vehicles are a difficult lot to handle. They are seldom willing to part with their money to pay compensation for the injuries and damages even if they know that their vehicle’s driver is at fault. St. Louis car accident lawyers offer tips on steps that one must take after getting involved in an accident with a commercial vehicle. Armed with this knowledge, the victim may increase the chances of receiving compensation for injuries and damages. Call the police or emergency services using your cell phone to seek help. Ask for the commercial vehicle driver’s license number and insurance information. You must also share your insurance information and license number with the other driver. If you have a camera, take pictures of both the vehicles ensuring that you shoot the licence plate and the damaged areas. Look around for witnesses to the accident and ask them what they saw. Write down the details of the events that led to the accident, including all the minor details that you can remember. Ask your co-passengers to write down their recollection of the accident. When you are receiving medical treatment after an accident, do not forget to take pictures of the injuries that you have sustained. When you decide to file a claim against the driver of the commercial vehicle, you may consider consulting with a competent St. Louis car accident attorney to litigate your compensation case. 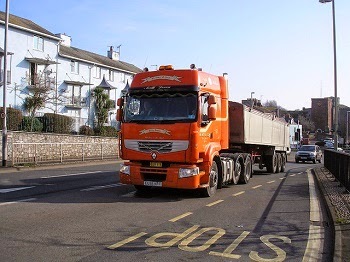 You may find it extremely difficult to prove the fault of the commercial vehicle driver on your own as there could be several factors affecting the case. The driver may be speeding, driving recklessly, or may be driving under the influence of drugs or alcohol. The driver may have overworked or have had lack of sleep and was thus tired. The vehicle may have had a brake failure or some other mechanical failure. This is the responsibility of the company’s repair crew or the vehicle manufacturer. The governing laws for commercial vehicle insurance vary from state to state and some are federal laws. A commercial firm in violation of any of these laws is liable to pay a hefty compensation. Thus an experienced St. Louis car accident attorney will be very helpful in ensuring that your case gets through. The attorney will use the information you collected at the accident site, the driver’s log, vehicle inspection and safety records, and other pieces of evidence. Call The Hoffmann Law Firm, L.L.C. at (314) 361-4242 for a free consultation. A car accident can cause severe trauma to the shoulder, a complex joint that connects different parts of the body. S.L.A.P. stands for Superior Labral Tear From Anterior to Posterior, and it occurs when a shoulder is dislocated. A shoulder can get dislocated when someone is involved in a car accident because the impact can cause severe trauma to the shoulder. A shoulder is one of the most complex joints in the body as it connects different parts of the body. A S.L.A.P. tear is an extremely serious condition and has symptoms which are quite similar to other shoulder injuries. The symptoms for a S.L.A.P. tear are as follows. • A popping or clicking sound from the shoulder. • A dull throbbing ache in the shoulder joint. • Pain in the shoulder when lifting a weight above the head. 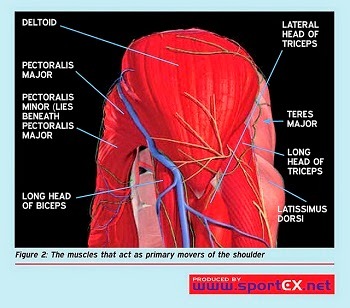 • Pain in the shoulder at certain positions. • A feeling that the shoulder is going to pop out or get dislocated. • A decrease in the range of motion of the shoulder. A trained medical professional will be able to inspect the injury and give a correct diagnosis. It is essential that the victim meets a health care professional to get the injury examined for planning the further course of treatment. The doctor will usually carry out an X-ray or MRI of the shoulder to check the extent of the injury and whether a S.L.A.P. tear has occurred. There are two types of treatment available for S.L.A.P. tears depending on the severity of the injury. The first is a conservative one in which the doctor prescribes medication to get rid of the swelling and pain. Once the swelling is gone the victim has to begin physical therapy, in which the therapist makes the victim undergo rigorous sessions of exercise to strengthen the shoulder muscles, improve flexibility of the shoulder joint, and increase range of motion which has been severely affected by the injury. The duration of the physical therapy depends on the severity of the injury. The next course of treatment is arthroscopy, which is a surgical treatment for correction of the S.L.A.P. tear. In this case a small incision is made and the surgical instruments are inserted to repair the tear. This surgery is followed by physical therapy similar to the conservative treatment and the duration of therapy depends on the severity of the injury. If you have been involved in a car accident, you should see your health care provider for a check-up, even if you feel alright after the crash. Many injuries do not show any symptoms initially and then start troubling your day to day life at a later stage. A S.L.A.P. tear is one such injury and a minor pain in the shoulder should never be ignored. If a serious injury is not treated on time, it may affect your life severely in the future. So, timely medical attention should be sought. The next step is filing a claim to receive compensation for your medical expenses. Call The Hoffmann Law Firm, L.L.C. at (314) 361-4242 to learn about your legal options. If you have sustained an eye injury in a car accident, seek the help of a St. Louis car accident attorney to receive compensation. The eyes are considered one of the most important body organs as they help us in all aspects of our day to day lives. When you are involved in a car accident, you are quite susceptible to receive an eye injury. Eye injuries can be caused by shattered glass entering the eye, or by the impact of the head on the dashboard or steering wheel. An eye injury should always be taken seriously and immediate medical help should be sought. Orbital Blowout Fracture - a fracture of the bones surrounding the eye and occurs when the face hits the dashboard. Eyelid Injuries - the most common form is eyelid lacerations which occur when a blunt object hits the eyelid causing deep cuts. Other eyelid injuries are black eyes in which the tissue around the eye fills up with blood following a trauma. A black eye generally heals by itself with a cold compress and pain relievers, whereas lacerations generally require plastic surgery for repair. Optic Nerve Injury - also called traumatic optic neuropathy and the symptom is a decrease or complete loss of vision. Severity of optic nerve injury determines whether the condition can be cured by surgery or not. Retinal Tear - a condition in which the retina separates from the underlying tissue inside the eye. The most common symptom of retinal tear is flashing lights and floaters in the vision. Eye Haemorrhage - a haemorrhage occurs mainly due to an impact of the head with a blunt object, causing bleeding in the anterior chamber of the eye, for example, the region between the iris and the cornea. The symptoms are blurred vision and pain in the affected eye. Ruptured Globe Injury - the outer membranes of the eye are affected by the trauma, thus causing severe pain, vision loss, and fluid leakage from the affected eye. Other symptoms include facial pain and swelling, double vision, redness, and abnormal pupils. In case you have sustained an eye injury in a car accident, you must seek immediate medical attention, especially from an ophthalmologist. The ophthalmologist will be able to inspect the eye to establish the type of injury and suggest a suitable course of treatment. 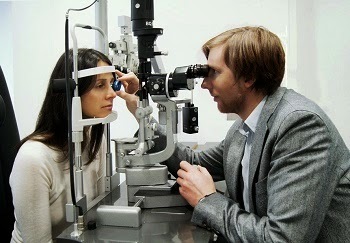 A timely detection of an eye injury and correct surgery and treatment can prevent permanent vision loss. If the accident has been caused by a negligent driver, you may seek advice of a St. Louis car accident lawyer to file for compensation for the injuries sustained. Call The Hoffmann Law Firm, L.L.C. at (314) 361-4242.